A few blocks later, 52 splits from 19. 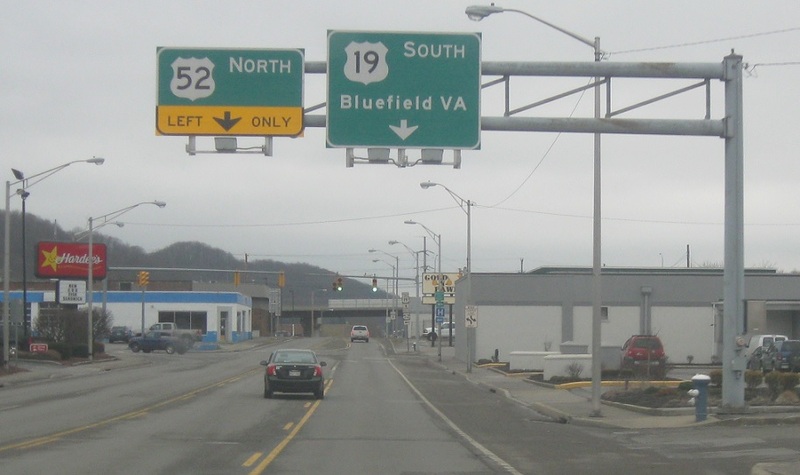 Stay on 19 to head into Virginia. 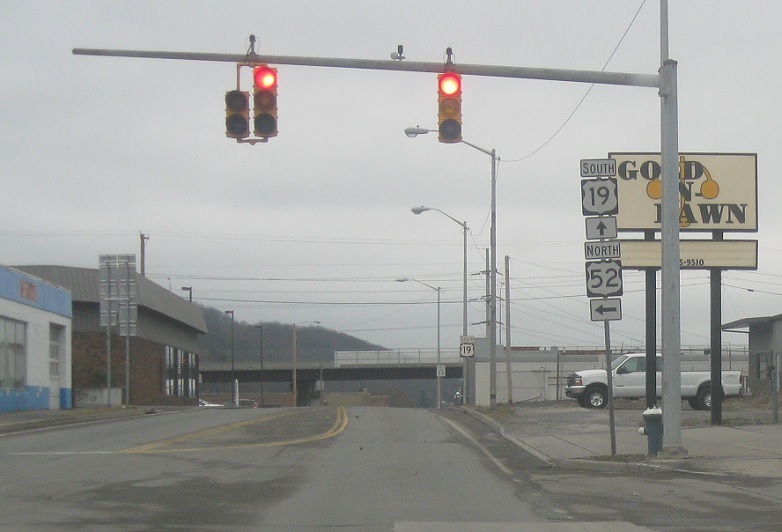 Turn left for 52 north, which loops south and then flies back over 19 at the overpass in the distance. Stay straight to stay on 19 south.